This page has links to mostly physical materials you may send away for and receive through the mail. Free material that is available online is under the relevant page elsewhere on A to Z Home’s Cool. 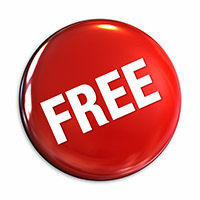 Use the site index or search engine above to find recommended free internet resources. If you have a Kindle, you can acquire these children’s books for free through the Amazon’s Kindle Unlimited. Select the age range of the child and other parameters in their left column. Change the sort from Children’s Books if you would like another type of book. 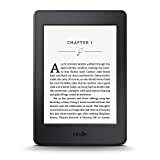 See the newest Kindles here. There are a number of “Arthur” books teacher guides available both online and in print. Please click on “Felt Sample & Info” to request a small printed felt sample or other information from someone in my FunFelt Team of local Independent Story Teller Consultants. Directory of US public libraries with web sites. Often you can put books on reserve from the website. Borrow books online before you buy. Catch is, you have to return them in two weeks, the software sees to that. Find vocabulary games and online spelling practice for your kids. Every time your kids play, they’ll build vocabulary, spelling, and writing skills. Improves reading comprehension. Activities are designed to benefit all K-12 students. Free trial. Grade level resources for every grade! Examples: 1st Grade Spelling Word Lists, 2nd Grade Spelling Word Lists, 3rd Grade Spelling Word Lists, 4th Grade Spelling Word Lists, and 5th Grade Spelling Word Lists .